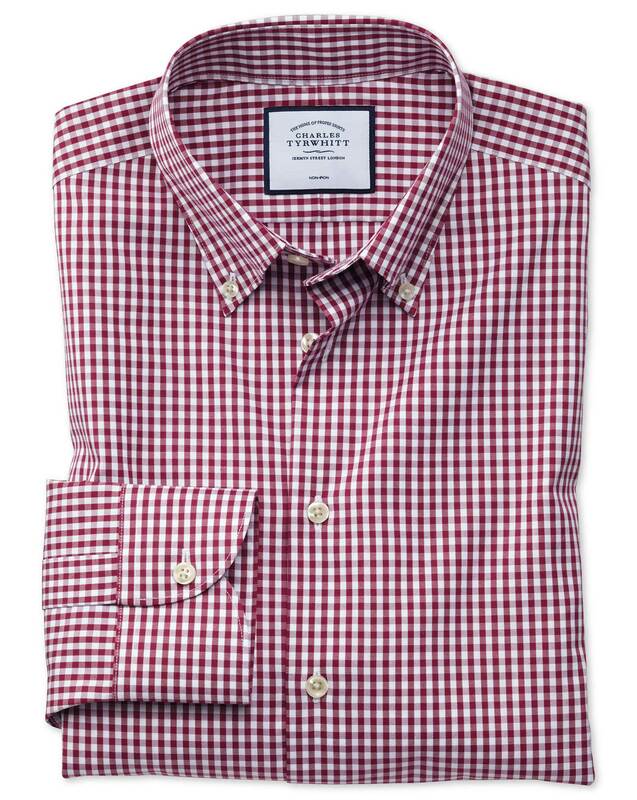 Response from Charles Tyrwhitt: As our shirts are 100% cotton, there is always the chance the sleeves will shrink - however, this will only be by a very small amount. We also manufacture the shirts with slightly longer sleeves to account for this, so I hope there won't be an issue after a few washes. For your peace of mind, however, all our products come with a no quibble 6-month guarantee so if you do experience anything untoward, please don't hesitate to reach out. Ordered casual shirts - normally 15.5 size and large in jerseys so ordered large, found this a bit big so will try medium next time. Non-iron finish works really well too. Pity you don't put a model number on the shirt as re-ordering is a bit hit and miss on line with textures etc.